"Eighteen brand new stories—exclusive to this collection—featuring the Colonial Marines in bloody conflict with the deadly Aliens. ALIENS: BUG HUNT will send the marines into deep space, to alien worlds, to derelict space settlements, and into the nests of the universe’s most dangerous monsters." 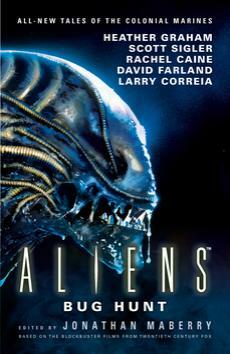 Continue discussing this topic as well as thousands more with other fans of Alien, Predator and Alien vs. Predator (AvP) in the AvP Online Forums here on AliensVersusPredator.net! Upgrade your collections with some fresh Alien Merchandise! Check out some products below and click here for even more! 18 stories in 368 pages?! I'll buy it....But would like a bit more depth...even if it's just a bug hunt.